This 6-pin connector and plug set is great when you need to create a robust connection for signal or power. 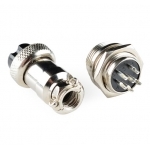 This product consists of two separate parts, the panel-mount jack and the mating plug. The plug has a ring which screws to the panel-mount connector ensuring a solid connection that won't pull off. 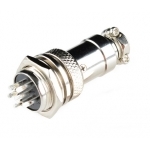 The connector uses 6 solder-cup connections for easy wiring. The panel-mount side mounts in a 15.5mm hole with the aid of a lock-washer and nut (both included). 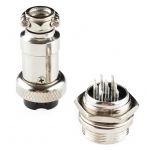 The jack uses solder-cup terminals as well and comes apart for easy assembly. It even has a strain relief clamp on the end which clamps down to 5mm for a sturdy connection. 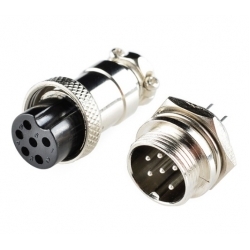 Pins are clearly labeled on both jack and connector. 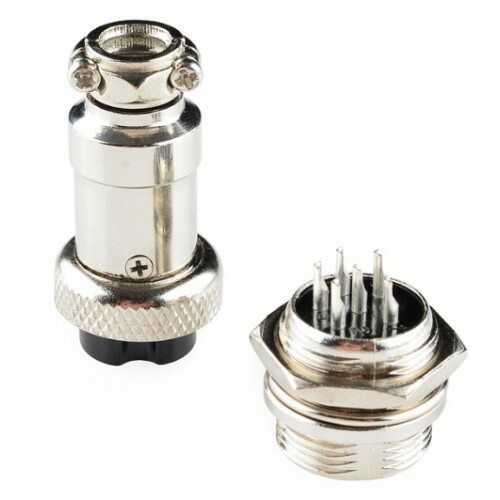 To access the solder pins on the plug, remove the screw on the side. The black housing then rotates anticlockwise and can then be pulled out.